[Solved] How to Uninstall Dropbox from Mac? Backing up your files is very important. It helps you restore the said files using the backup in case something bad happens to your device. Backing up can be through external hard drives or through online platforms such as Dropbox and iCloud Storage. However, not all users want their files to be synced to Dropbox. There are a variety of reasons for this. Thus, these users might try to remove Dropbox from their Mac device by dragging it to the Trash. However, this cannot be done easily. Dropbox usually cannot be moved to the Trash because your Mac device states that its plugins are actually being utilized by your system. If you want to remove DropBox from your device but don’t know how to do it, then you’re in the right place. You can follow this guide to help you manually and automatically remove Dropbox from your Mac. Part I: Using Finder To Uninstall DropboxPart II: Using A Tool To Uninstall DropboxPart III: Conclusion. When you uninstall Dropbox manually from your Mac device, you will not be able to remove it completely. Your Dropbox account will not be deleted and the files synced in your Dropbox folder will not be removed as well. You will still have access to your Dropbox files when you use other devices and when you log into Dropbox’s website. Step 1 - Remove the link between your Dropbox account and your computer. Step 2 - Launch Activity Monitor and then Force Quit the Dropbox application. You can launch Activity Monitor by searching for it using Spotlight. Step 3 - Launch Finder. Step 4 - Find the sidebar and locate Applications. Choose Applications. Step 5 - Drag Dropbox towards the Trash and drop it. Step 6 - Empty the Trash. Here’s a tip: You can drag the folders and drop it to the Trash if you wish to delete the files located within the local Dropbox folder. The steps outlined above tells you how to uninstall Dropbox from your Mac device. However, leftover apps files such as logs and application caches will still be kept within your device. These leftover files still take up space. If you are not an advanced Mac user and you do not know how to search for and delete leftover files on your Mac, it is recommended that you use a tool for uninstalling Mac applications. The tool we recommend is iMyMac-PowerMyMac’s Mac Uninstaller. 2 - Efficient - It can completely remove applications you want to delete. It also removes the associated files of the said applications. Thus, no leftover files associated with the removed application is left in your Mac device. 3 - Selective - It shows scanned results in a variety of classifications (by time, size, date, etc.). You can preview applications one by one. And you can choose which apps to uninstall. Everything is under your management and control. You can choose which apps to keep and which apps to uninstall. 5 - 100% Secure- It is safe and secures mainly because it doesn’t contain any virus or malware that might cause harm to your Mac device. 6 - Helps You Save Disk Space - By completely uninstalling your applications and all of its associated files, Mac Uninstaller helps free your device of more disk space. This means more space for your most important files. It might also mean speedier performance for your Mac device since its disk drive is not clogged with unnecessary files. Download iMyMac-PowerMyMac and open it in your device. Choose from the modules "ToolKit" on the top. Select the tool “Mac Uninstaller”. Click Scan to scan all applications in your device. Wait for the results to display. Select the specific application you want to remove. Click “Clean.” Click "Confirm"
Now, that’s how you uninstall Dropbox with iMyMac-PowerMyMac’s Mac Uninstaller. It’s very easy, right? Most people love to back their files up in Dropbox or iCloud Storage. However, some people want to get rid of Dropbox due to a variety of reasons. So, to get rid of Dropbox, you have to simply uninstall it from your Mac. You can do this in two ways, one is done manually and the other method is done with a tool. Manually uninstalling Dropbox is actually easy. But there’s a problem with it. Simply dragging it to the Trash does not completely uninstall it. There are still leftover files left after uninstallation. That’s why you have to use a tool instead. The tool we recommend is iMyMac-PowerMyMac’s Mac Uninstaller. 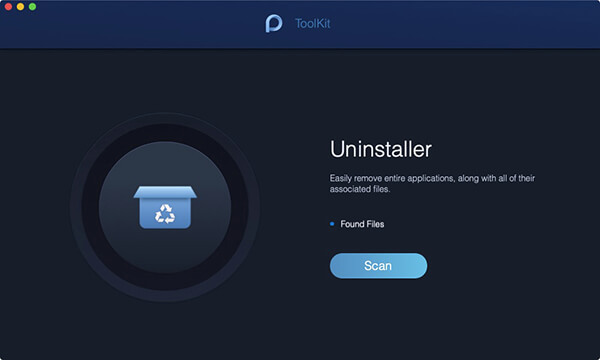 The said tool can easily uninstall any application from your Mac device. 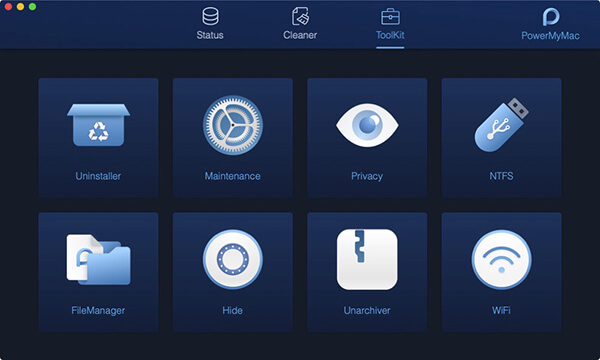 Leftover files are taken care of by this tool as well. So you don’t have to worry about it. / Mac Uninstaller / How to Uninstall Dropbox from Mac?